Trump apparently wants to control 5G in a ‘state-run’ socialist twist to American capitalism—and now there are indications that it could become part of the 2020 election campaign. While this new campaign is ostensibly aimed at reducing costs and providing rural residents with fast internet, motives aren’t always what they appear to be. We heard about this plan last year, too, when the administration thought it would test the waters and gauge public sentiment. It’s wasn’t very successful, taking a lot of heat from critics in the industry and from the Federal Communication Commission (FCC). It also got crushed by lawmakers on both sides of the gaping political divide. It was quickly shoved under the rug. But China keeps coming back around. A memo from a National Security Council official, obtained by Axios, insisted that a strong, government-controlled 5G network is necessary as a bulwark against Chinese threats to America’s economy and cyber security. “China has achieved a dominant position in the manufacture and operation of network infrastructure…China is the dominant malicious actor in the Information Domain,” the memo read. 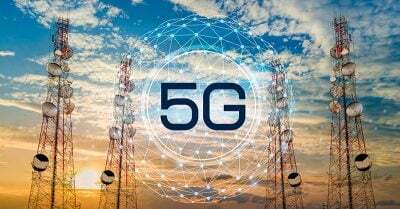 In the meantime, U.S. mobile providers such as AT&T, Verizon and T-Mobile, for example, are investing heavily in this area and have promised to make 5G a reality later this year. However, they are still lagging behind Chinese companies, Huawei primarily, one of the biggest phone makers and telecommunications kit providers in the world and the company that has been the target of U.S. lobbying over national security and economy concerns. The US administration has recently announced it is considered barring American companies from using equipment from Chinese companies and called on its allies to do the same. So, the elephant in the 5G room is China—not “underserved” American farmers—however, nice that might sound for the 2020 campaign. Much of China’s power comes from the fact that the government controls everything. But the suggestion is that if America wants to beat China, it has to become China, and nationalization is the first step.